Most of you who live in the local area will recognize this name as one of NBC Channel 4’s most popular news anchors. In fact, she celebrates 30 years with the affiliate this year – hard to believe isn’t it? Sort of like it’s hard to believe the Old Town Crier celebrates its 30th year as well. She also shares the love of the Chesapeake Bay and the Blue Ridge Mountains that we do. I guess one would say it was kismet that we met in one of our favorite drinking and dining places in Washington, VA – Tula’s. Tula’s is owned by our longtime friends, and Alexandrian’s, John McCaslin and Mark Allen. Small world. I’m not going to make this profile a biography of her life. You all can get that information via the wonders of the world wide web. I will tell you that she is a native Virginian from Norfolk but has been in the DC area since she was 22 and the story of how she got to where she is today is well worth the surfing – actress, Emmy Award winner, environmental activist, etc. (Get it…surfing the web). I want to concentrate on some of the things that make her tick and what she sees for her future. Our first encounter at Tula’s was a chance meeting on a cold night in January. We were sitting at the bar chatting with locals that we have befriended over the years when she came in and joined us at the bar. I don’t think that there is a pretentious bone in this woman’s body. She is truly a “what you see is what you get” kind of person. Obviously, we are always on the lookout for interesting people to profile and she definitely fit the bill. 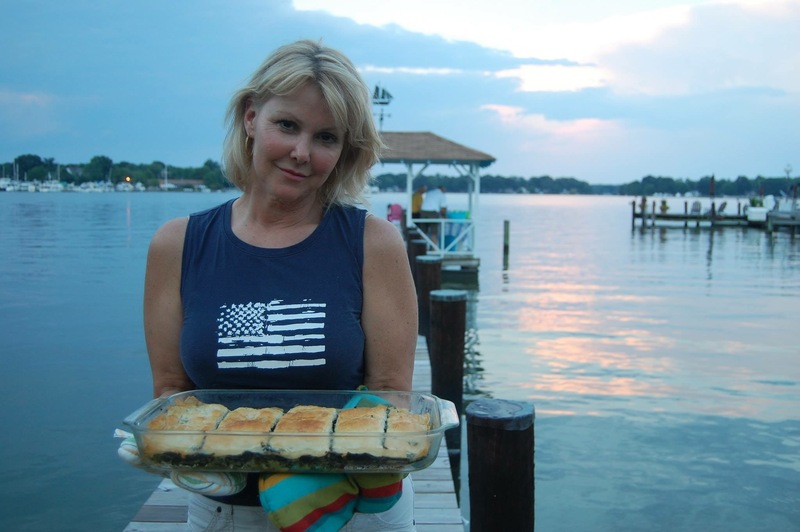 As the conversation continued, we discovered that her permanent residence is a house on the West River in Galesville, Maryland and that she had fairly recently purchased a weekend home in Rappahannock County – the “From the Bay to the Blue Ridge” connection. Fast forward to a couple of weeks ago. We met Wendy and a friend of hers for brunch at Tula’s on a beautiful Sunday afternoon. An unusual day for August since there was no humidity and the temps were mild and…no rain! The encounter was more like catching up with an old friend than doing an interview. The conversation just flowed. We talked about a lot of different things. Like why did she cut her hair short (one of the caveats of her job entails her appearance and there are some guidelines so she did run this by the powers that be). “I like to shake things up,” she told me. One time she really went off of the rails and died her hair a deep auburn (dating an Irish guy and was headed to Ireland for a few weeks) and I guess that created quite a stir when she returned to work. She was back to blonde within a few days. Guess it involved a pricey promotion that the station had previously filmed that was hitting the airwaves with a very blonde Wendy in it. We talked about millennials, youth shaming, animals, people and places we know in common and about the characters that make up both of the communities in which she resides. She made the analogy that Rappahannock County is 40% Mayberry and 60% Green Acres. So many characters each with a funny story about their lives. 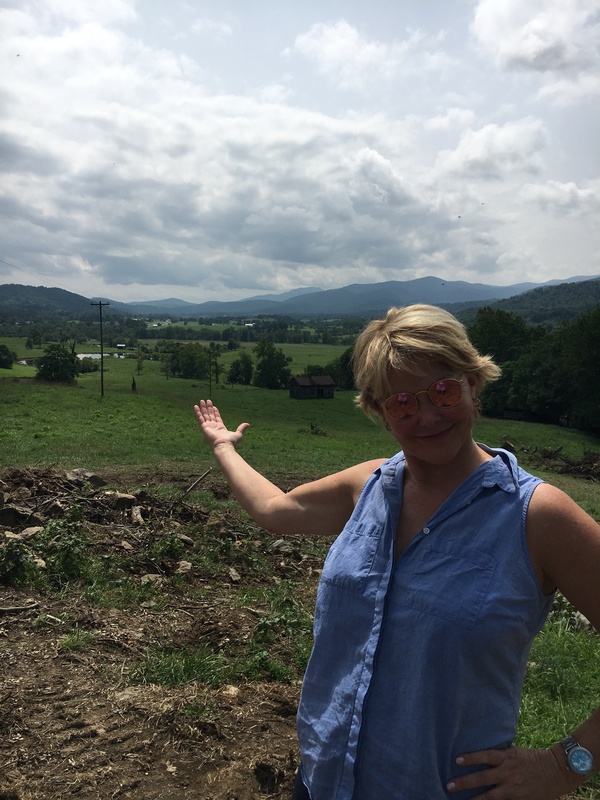 She suggested that Rappahannock County could be its own reality show. She is passionate about where she lives. Much has been written about her home on the West River near Galesville. In fact, the Road Trip column in this issue is about that very same area. She was a “city dweller” at the time she was doing a stand up (news reporter term) on the steps of the Capitol in Annapolis and a gust of wind came off the water and blew the scent of salt water in her face. She decided that day that she was going to move to the water. 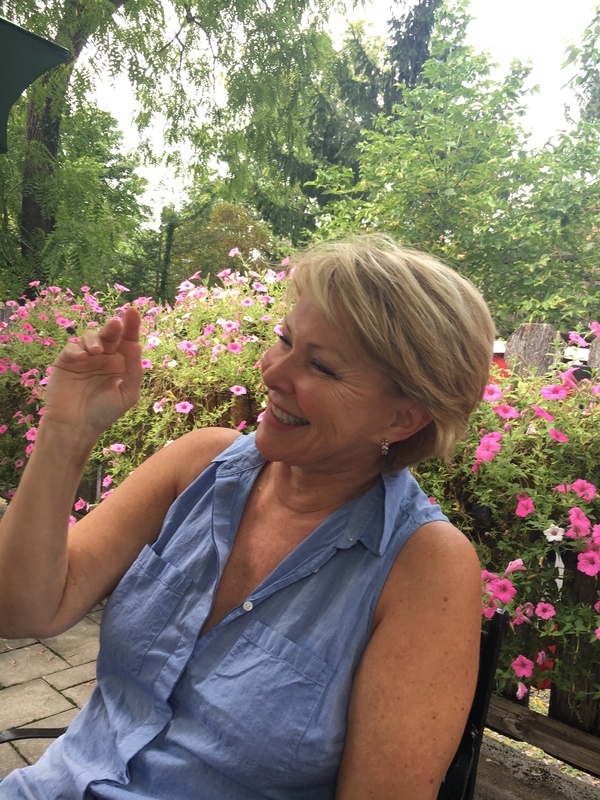 And….within a few months, there she was in the perfect Circa 1920 Chesapeake Bay Bungalow with a 180 foot dock and an original Crab Pavilion on the river and she has been there for 19 years. I guess this falls in the epiphany category. Her love of the mountains was sparked after her parents divorced in the mid-60’s and her airline pilot father moved to Southern Towers in Northern Virginia – a place where lots of pilots and “stews” resided back in the day. When it was his turn to spend time with the kids, he would pick them up in Norfolk and drive them to the city via Skyline Drive making a stop to climb Stoney Man Mountain and then they would stay at Skyland Resort in the Shenandoah Mountains. This became a ritual for many years and I could tell it was something very dear to her heart as she described it. It took years for her to make her decision to move to the mountains. She tells me that she was looking at John McCaslin’s Instagram – not only is he co-owner of Tula’s, he is also an old beau of hers – and saw the fabulous photos he posts of Rappahannock County. Once she found out that RappCo, as it is affectionately called by locals, is near the Shenandoah’s she had to see for herself. She connected with John last year and he gave her the grand tour. In a few short months she found, yet again, another perfect abode – a renovated circa 1920s Farm House with a paddock on 3 acres near Amissville – and basically purchased it on the spot. There is that impulsive side. Odd that both homes are circa 1920 and actually were almost the same price. After spending weekends in her newly acquired digs, she decided that she would take some advice an old boyfriend – a builder – gave her years ago and build her own home from the ground up. She went on the hunt for land and found the perfect spot in April. She had her DC condo for sale and she got a contract for the sale of it on the same day she signed the contract for the purchase of her 24 acres. This may, sort of, fall in the category of the universe telling her what to do. One of the last things she said to me as we were looking over her property was, “A house is something that survives long after you are gone. If you build a good house, it will be your legacy.” I do believe Wendy is well on her way. She definitely is “one of a kind’.